Denis Galvin is an Associate with our Recently Qualified Team in Cork. After completing an undergrad in Computer Science & Economics in UCC, Denis went on to complete his ACCA exams through practice before making the move into industry. In total he has spent 10 years across practice, multinational and start up environments. Denis has finance experience across global and European finance hubs and shared services as well as within a rapidly growing, Cork born, technology company. In his spare time Denis also completed the Diploma in IFRS through Chartered Accountants Ireland. Having worked as an RTR Accountant, a Financial Accountant and a Finance Manager, Denis brings true expertise to accounting recruitment in Cork. In his role Denis will works closely with Barden’s national qualified accountant recruitment team specifically supporting qualified accountants in the Cork and Munster area. Contact Denis at dgalvin@barden.ie or via LinkedIn. Marissa Maher is an Associate with our Recently Qualified Accountants team in Cork. She is an expert in qualified accounting careers, in particular supporting those in the accounting and finance market who are seeking roles in Cork. Marissa is a UCC grad and holds a Bachelor of Commerce Degree. Following her degree, she moved to Dublin and completed a Masters in Strategic Management and Planning from Michael Smurfit School of Business. Throughout her career Marissa has gained valuable experience in the banking, financial services and recruitment sectors. She later went on to qualify in both QFA and CIPD. With this and her experience working within financial services she has a unique insight into finance, accounting and professional service markets. Contact Marissa at mmaher@barden.ie or via LinkedIn. Aideen Murphy is a Partner with Barden Cork. She is an expert in tax and practice careers. Aideen specialises in the recruitment of tax and practice professionals in Cork. Aideen studied Law & Accounting in University of Limerick. Following UL she qualified as a Chartered Accountant and Tax Consultant, training with Deloitte, training in the Tax Department of Deloitte in Cork. She then moved to industry and worked in a broad accounting and tax role with a US multinational. Aideen has worked in recruitment for a number of years and specialises in tax and practice recruitment for professionals, especially in the Cork and Munster market. Contact Aideen at amurphy@barden.ie or via LinkedIn. Jonathan Olden is Managing Partner of Barden Cork. 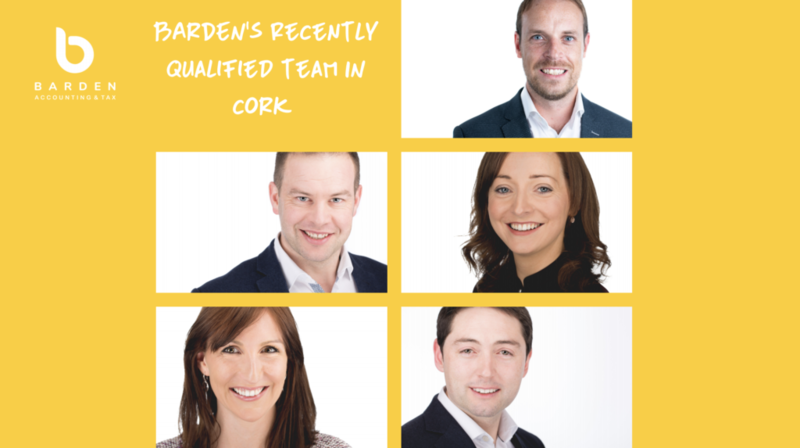 In 2017, together with Ed Heffernan and Elaine Brady, he established Barden Cork which specialises in accounting and tax recruitment. As well as working assignments across a variety of accounting, tax and finance roles and level, Jonathan also manages the Barden Cork office, ensuring an excellent level of service is enjoyed by our Cork customers. A UCC Grad, Jonathan also studied with the Law Society of Ireland and is a qualified solicitor. Jonathan is an experienced, organised and reliable expert who advises accounting professionals seeking opportunities and accounting leaders looking to attract new talent. Contact Jonathan at jolden@barden.ie or via LinkedIn.